Posted on 27/10/2018 at 08:58. When it comes to packing for vacation, less is definitely more. Nothing ruins a trip faster than lugging an overloaded suitcase through the airport and into the hotel. If you have ever packed too heavily for a vacation, you know how inconvenient it was. You also know that overpacking these days comes with an expensive surprise. Baggage fees are on the rise, and they are likely to go nowhere but up in the future. 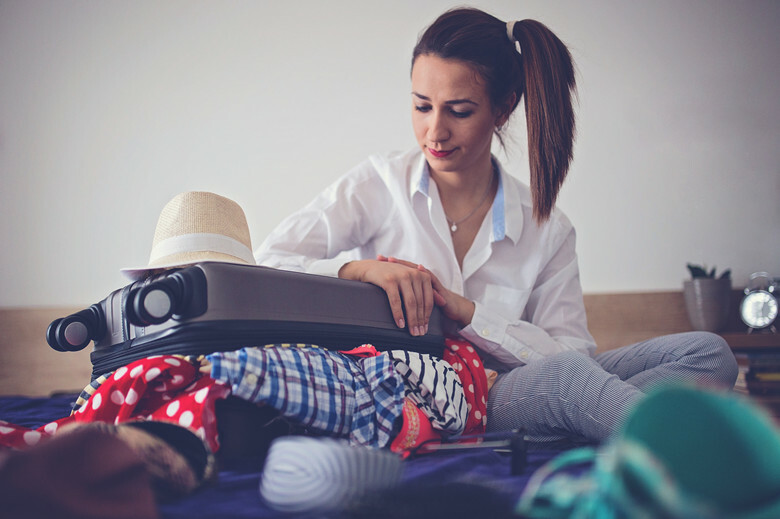 If there was ever a great time to pack light, now is that time, and here are 10 tips to get you started. If you want to avoid high baggage fees, you need to make sure your carry-on meets the carrier’s guidelines. Check the allowable dimensions and weight and make sure your suitcase meets those criteria. Lay out the clothes you want to bring, then pick out the outfits you really need. You probably have an idea of what you want to take, but seeing all those clothes laid out on the bed is a sure cure for over packing. Pick up what you really need, and send the rest back to your closet. Packing light does not mean wearing the same outfit every day. With some strategic packing, you can mix and match clothes to create a great new look every day of your trip. Just look for clothes that do double duty, such as pieces that pair well with everything else in your suitcase. You do not want to leave home without your favorite device, but do you really need a laptop for a weekend trip? Packing the smallest electronic devices you can will free up room in your carry-on and alleviate hassles at the TSA checkpoint. There is no need to pack soap, shampoo and other personal hygiene items if the hotel already supplies them. Jettisoning these items may not save much suitcase space, but every little bit helps. Roll up socks and place them inside your shoes. This will save you space in your carry-on and free up room for other necessities. Choose versatile high-quality clothing that resists wrinkles. Clothing with built-in stain resistance is also a good idea; the stain resistance will allow you to wear the same item multiple days. Pack a dayback inside your travel backpack or carry-on bag. You can use your daypack to hold purchases on the return, and you can carry it with you while you see the sights. Make a list of what you want to bring, then go through that list and eliminate what you can. Think about the things you can buy locally, like toiletries and personal care items, then cross them off your packing list. Pack for the weather you are going to, not the weather you are leaving. If you are fleeing the cold northeast for the warm Caribbean, leave the heavy coat at home and run for the airport doors. You will be toasty warm when you arrive at your destination, and you will not have to worry about lugging an extra garment around. Packing light is an art, but one that many experienced travelers have already mastered. If you are tired of dragging those heavy suitcases around when you travel, it is time to take traveling light to heart. The 10 ideas listed above will help you get started, and once you get going you will probably come up with some tips of your own.